There is something alluring about caves. Whether a cave experience is with a guided tour or a solo adventure with a head lamp, stepping into a cave is like entering a completely different world. Caves hold a mysteriousness that speaks to the adventurer in all of us. 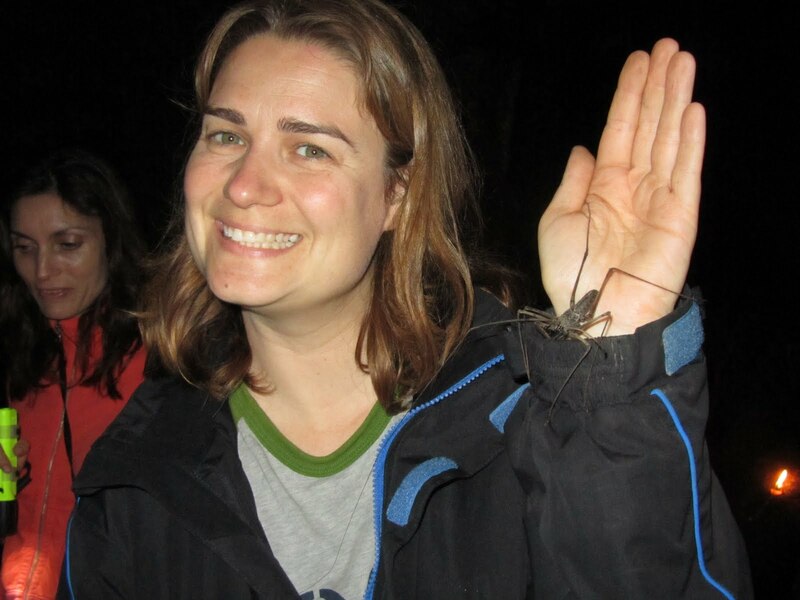 Amidst the stalagmites, stalactites and beautiful crystals live bats and big spiders and the possibility of yet-to-be discovered creatures. 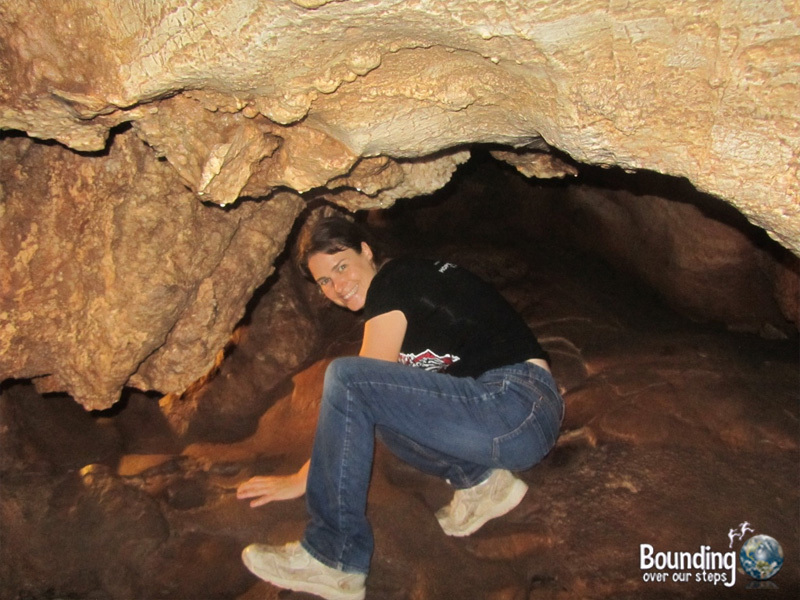 The Soreq Cave, just 2 km east of Bet Shemesh and only a 40 minute drive from Jerusalem or a 50 minute drive from Tel Aviv, is also known as the Avshalom Cave and the Stalagtite Cave. For 100 sheckels per adult you can see the staggering concentration of stalagtites that call the Soreq Cave home. Your ticket includes a short movie in Hebrew explaining how the cavern was discovered out in the middle of the Judean Hills. 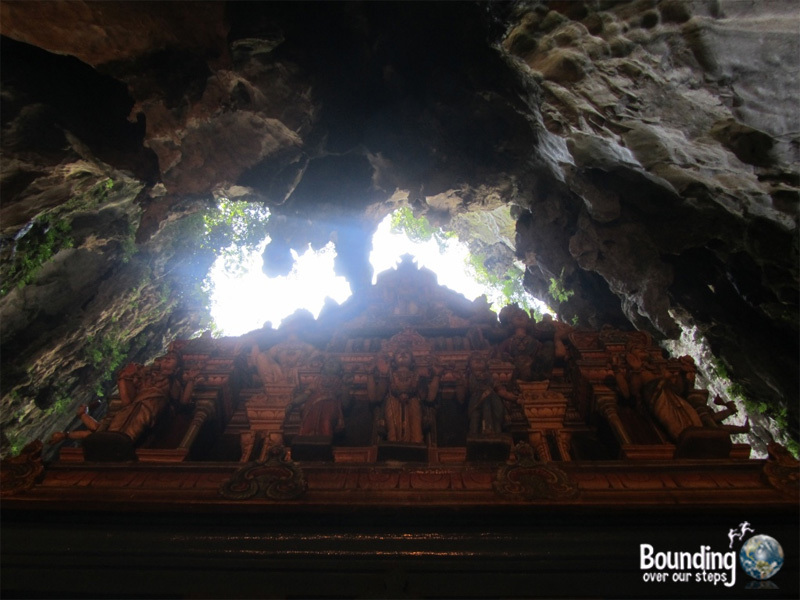 The hilly village of Lanquin, which is about one hour from Coban, is full of caves to explore! We visited two of them during our stay in this fascinating part of Guatemala: the bat cave just outside of town and the caves at Semuc Champey. 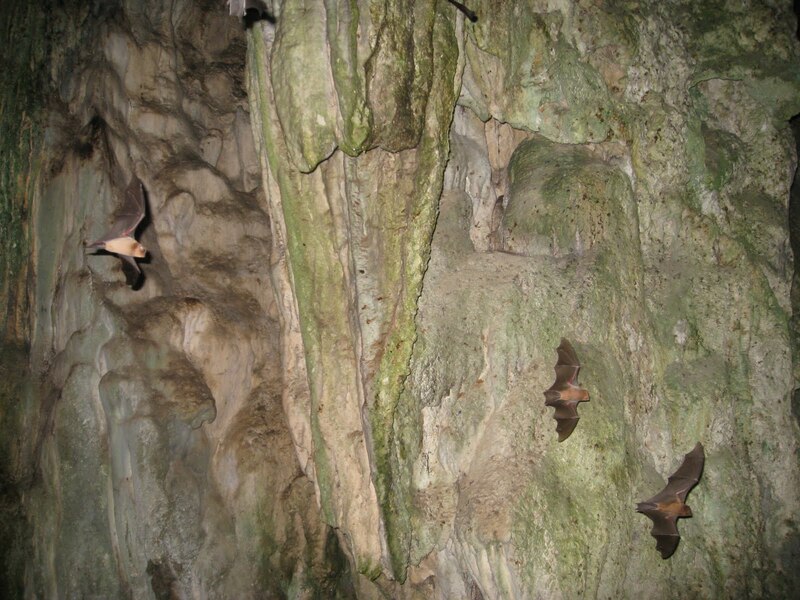 Reaching the Lanquin bat cave is a 15 minute walk from the center of town along the river. The best time to go is before dusk so you have plenty of time to explore the cave before finding the perfect seat at the cave entrance when the sun goes down and wait for the show to begin. Hundreds of thousands of bats will rush past you as they exit the cave for the night. They fly so close that you can actually hear the flapping of their wings and feel the breeze that this generates. It was an amazing experience! We also enjoyed a trip to Semuc Champey, where you can hike jungle-covered mountains as well as explore the Lanquin Caves. The unique feature of this cave (entrance fee was 60 Quetzal, which is just under $8US) was that much of it was filled with water. If you sign up for a tour, which we recommend for this cave, you will learn the skill of swimming through water while negotiating holding a candle. 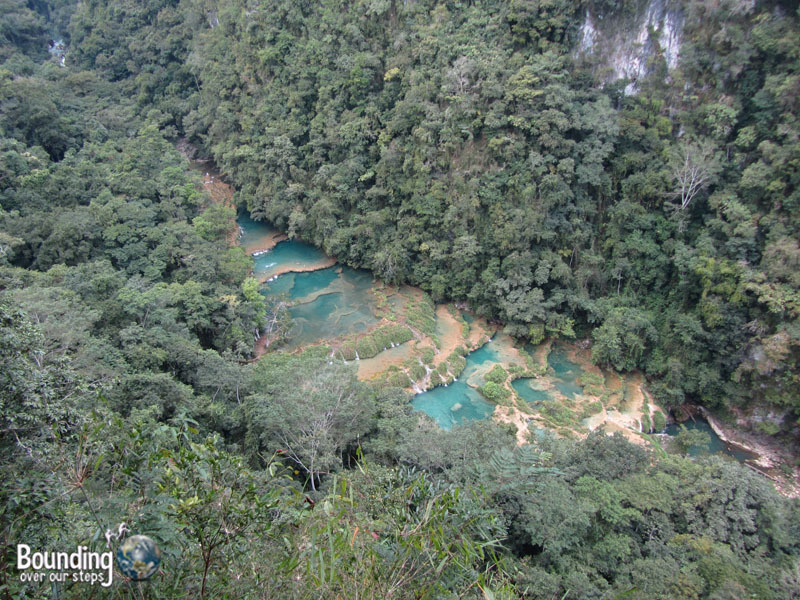 Most tours to Semuc Champey, about a 30 minute ride outside of town, include time to hike along the river as well as visiting the cave. 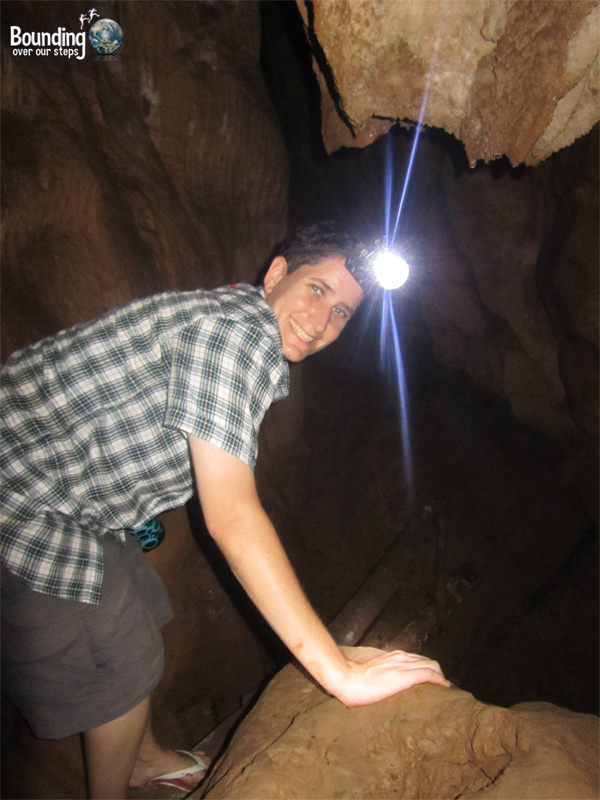 Exploring a dark cave by candlelight is really something you must do at least once! 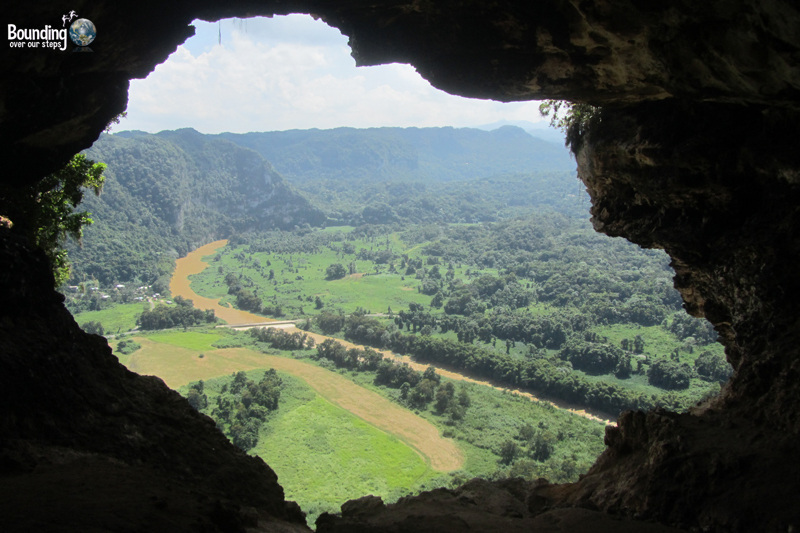 About an hour drive directly west of San Juan in the town of Aricebo lies the Cueva Ventana (Window Cave) in a limestone cliff face. 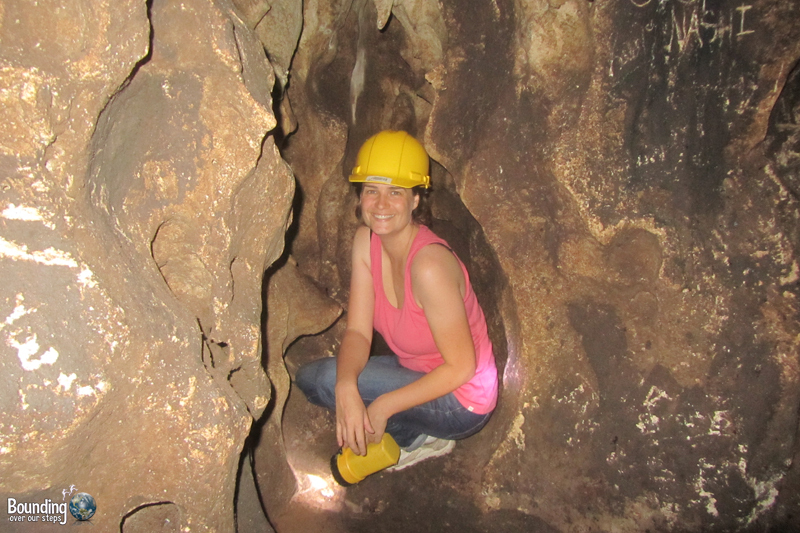 For $19 US (unless you are a resident of PR in which case you only pay $10 – ID required) you can climb the wooden staircase up to the cave, where you’ll be handed a hard hat and flash light before climbing down into the cave itself. The price includes a guide who will show you formations resembling various things, but the absolute highlight is reaching the window, where you get a gorgeous view of the valley below. If you are feeling brave, before returning your hard hat and flashlight, consider exploring one of the neighboring caves on your own. It turns out that they are all connected! 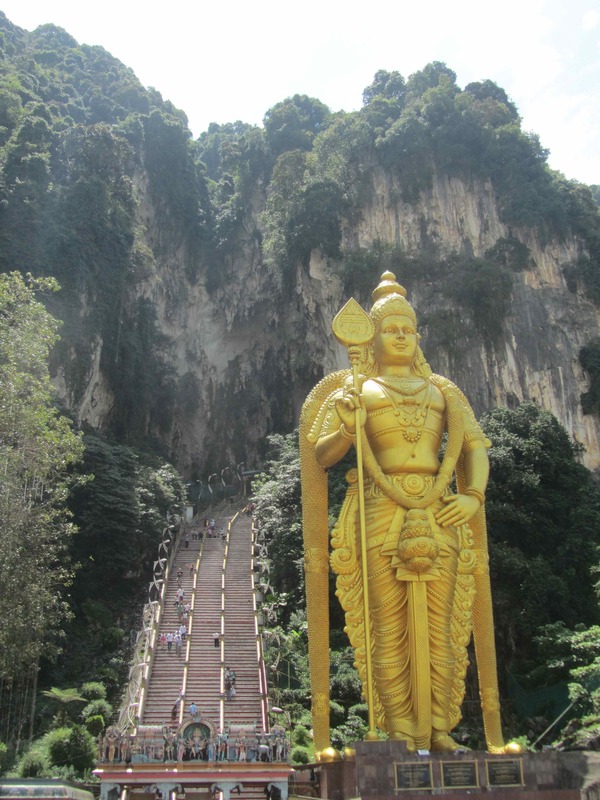 At the very last subway station of Kuala Lumpur’s brown line stands the world’s largest statue of the Hindu deity Murugan guarding what is known to the Hindus as Batu Caves. The steep climb up to the mouth of the cave is free but involves sharing the 272 steps with devout Hindus, other tourists and macaques keeping an eye out for any food you might have on you. Once inside the very massive cave, you can visit the Hindu shrine or simply people watch. 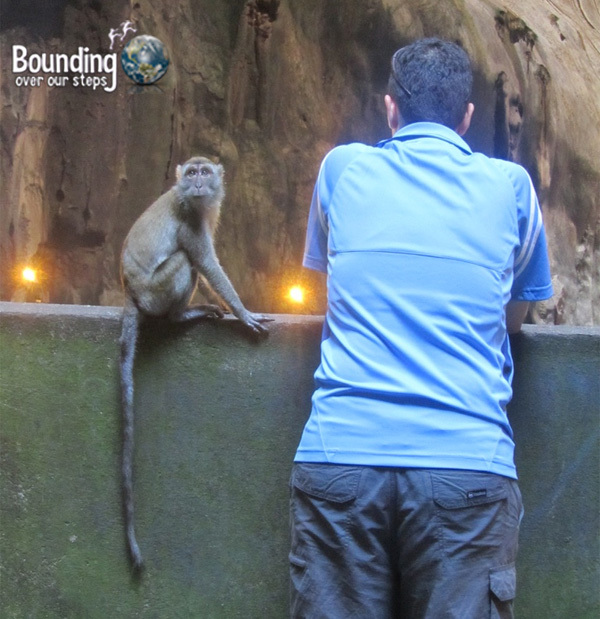 The highlight of this cave experience was spending quite some time observing the macaques interact with each other as well as us. We also enjoyed watching them plot to steal from human passersby. Phu Kham Cave is located just outside the village of Vang Vieng and for 10,000Kip ($1.25US) you can climb the uneven stone steps to the cave entrance. From there you can choose to either explore the cave on your own (in which case we recommend either bringing your own flashlight or renting one for an additional 10,000Kip) or hire a guide for 50,000Kip ($6US). One of the nice aspects of this cave is the refreshing blue-green water of the Blue Lagoon at the bottom of the steps, where you can swim or jump off branches of a big tree on the shore. The Blue Lagoon is very popular with the drunken and obnoxious gap year kids so we recommend getting there as soon as the cave entrance opens (8am) when the party crowds are still sleeping off the night before. Also, there are many other caves to explore in the area that are much less touristy. You can follow signs for these caves and for a small fee you can park your bicycle or motorbike on a local’s property and they will give you a headlamp and point you in the right direction. We explored several such caves and each time we were always the only ones there. 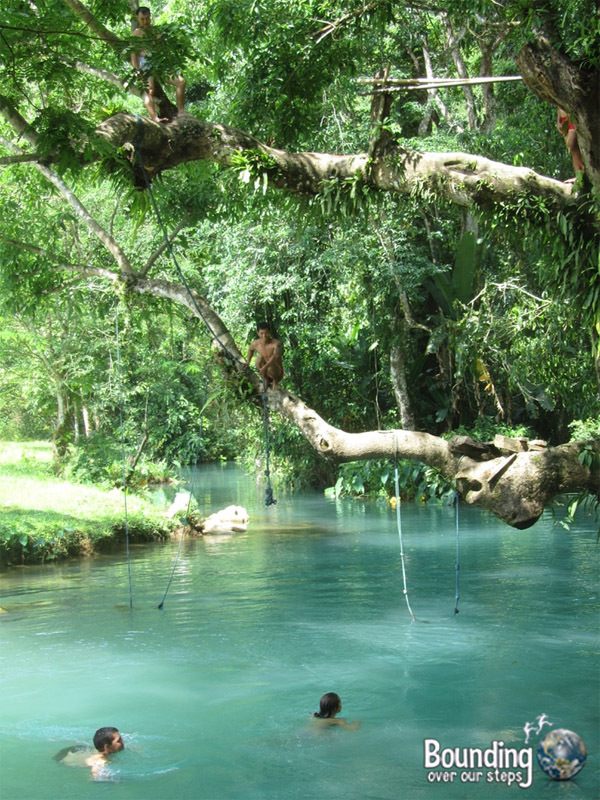 If you are heading for Phu Kham be sure to know exactly where you’re going before you leave Vang Vieng because there is purposely misleading signage so that you will end up at another cave and pay the entrance fee elsewhere. 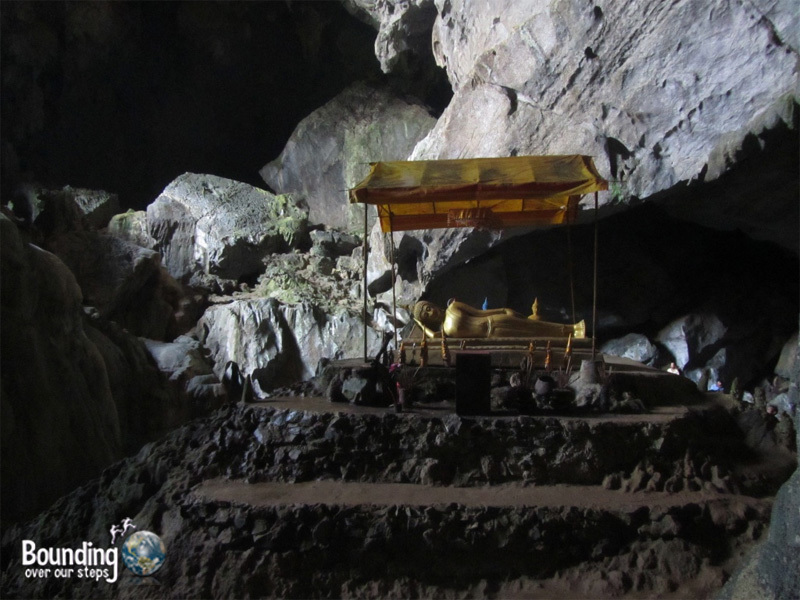 If you drive about 2 hours directly north of Chiang Mai, you will come to the the village of Chiang Dao, where one of the most popular attractions for both Thai and foreign tourists is the Chiang Dao Cave Complex. 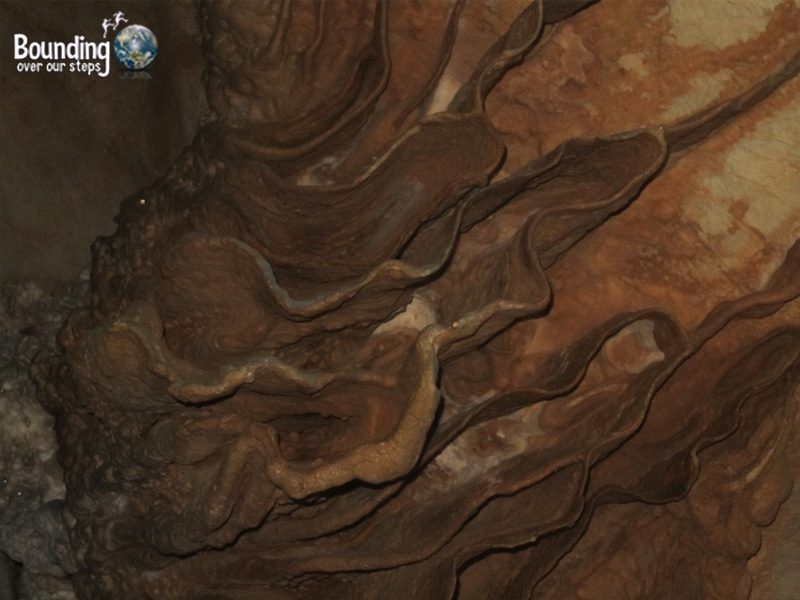 For only 40 THB ($1.30US) you can enter and explore much of the cave on your own. We highly suggest hiring a guide, who you will find already inside, for a suggested donation of 100 Baht ($3.50US). Leading with a lantern, our guide took us through some very neat locations, including narrow passageways and places to climb through. She also made jokes along the way and kept us entertained. In the tiny island nation of Bermuda lies the gorgeous Crystal Cave and for $22 you can enter an underground world like no other. The hefty ticket price (consider purchasing a discounted ticket to both the Crystal and Fantasy Caves) includes a guided tour through sparking stalactites and stalagmites. 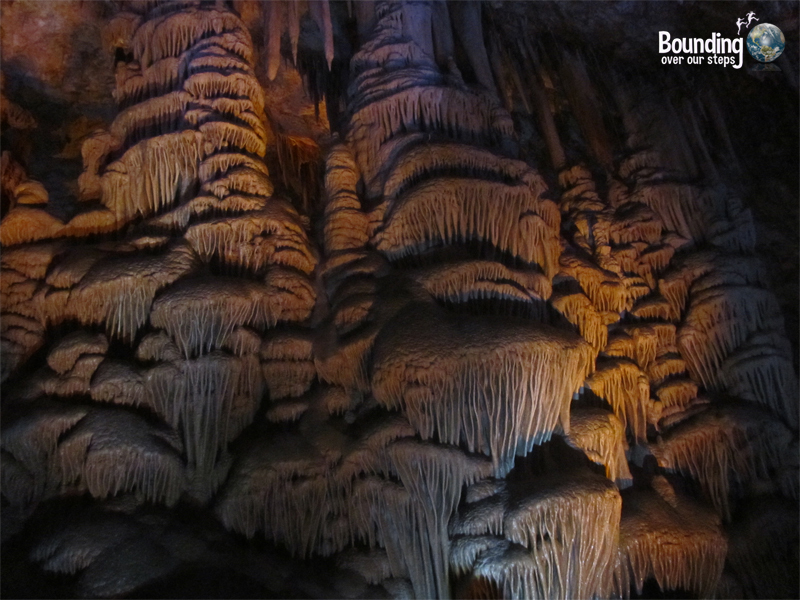 One of the walkways through the impressive Crystal Cave – watch your head! 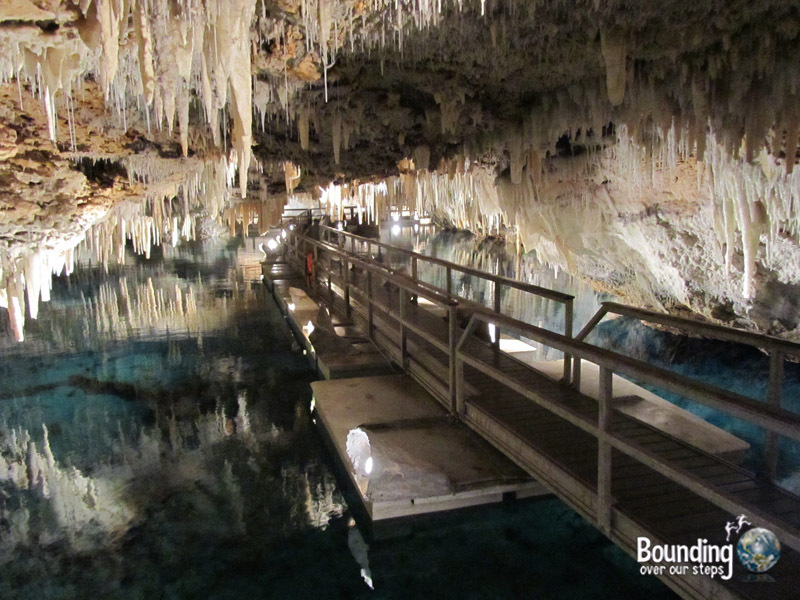 Like most locations in Bermuda, Crystal Cave is very easy to get to. Not to worry if you haven’t rented a car or motorbike, buses 1 and 3 stop just outside the cave entrance. 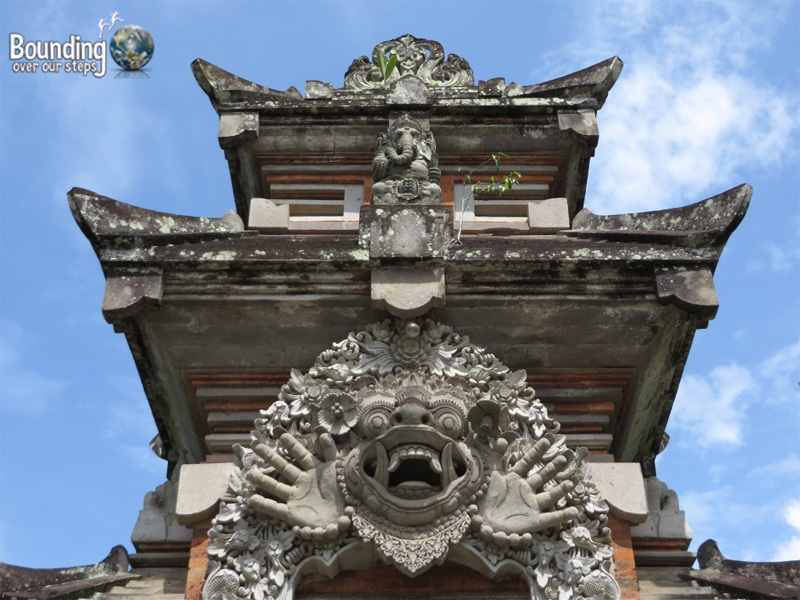 Without a doubt the most impressive aspect of Goa Gajah is the entrance! To get inside the cavern you must walk through the mouth of a very menacing-looking demon. We think this in itself was worth the price of the ticket and the ride out there. 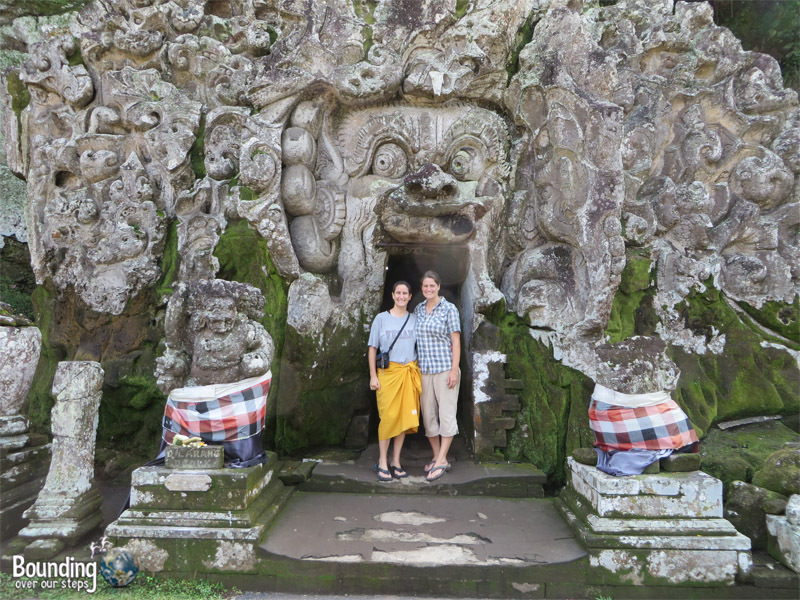 Goa Gajah, which translates to Elephant Cave, is located in the village of Bedulu two kilometers southeast of the popular town of Ubud and so we were able to easily access it on rented bicycles. This very small cave is in a complex that houses stone carvings of Hindu gods from the 9th to the 11th centuries and is surrounded by beautiful grounds where you can hike and explore. The entrance fee is 15,000Rp ($1.15US) and this includes the sarong rental so be sure to ignore those in the parking lot trying to tell you that you need to buy one from them in order to get in. What is your favorite cave experience? Years ago I visited Caves Branch in Belize, it freaking blew my mind… we floated on inner tubes down the river and into the mouth of the cave. When it got too shallow we got out and waded along in the water. Then we spent the night and explored this remote cave system after rappelling down into a sink hole. Awesome. Love caves but not spelunking, too claustrophobic. I love finding caves when I travel, and just posted about The Crystal Caves as well! While definitely less adventurous than others I loved how well lit and easy to photograph they were. How did I never make it to the caves in Thailand?!? Great round-up of caves. The one in Bermuda looks breathtaking! Hm…Ever since a smacked my head on a rock in a cave I’ve felt a lot less love for them! But I’m willing to give everything a second chance!